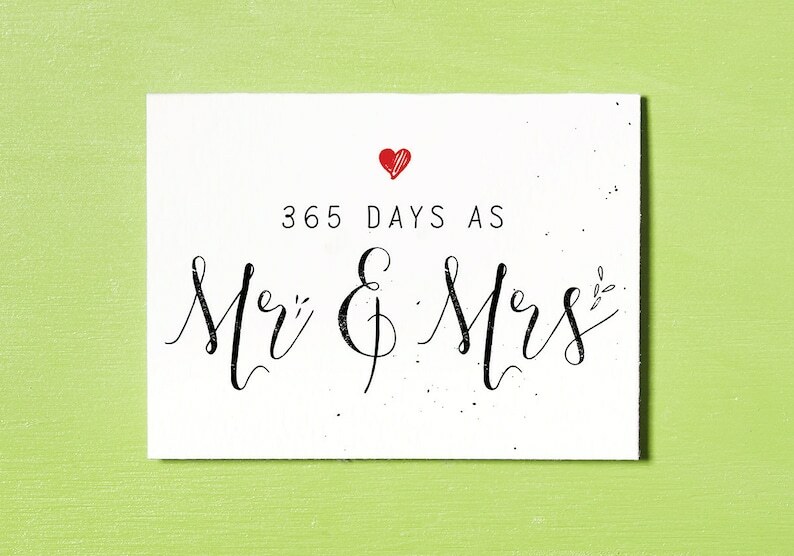 '365 Days As Mr & Mrs' is a First Year Wedding Anniversary, printable digital artwork for Instant Download that can be printed as a Card at home, print shop or emailed as a digital file to your loved one. I had a hard time finding a card for our first anniversary that I liked. This one provided the sweet, simple sentiment I was looking for and allowed my to get creative by printing it myself and adding some of my own crafty flair.